The law, for all its lurching and shambling imbecilities, the law – and only the law – is what keeps our society from bursting apart at the seams, and becoming a snarling jungle. While the law is not perfect, God knows, no other system has been found for governing men except violence. Here’s a bubble-bursting note for all you Truman Capote fans in the world. You’ve probably never head of John D. Voelker, but if anyone conquered the bestseller lists while “inventing” literary or fictionalized true crime in the 1950s, it wasn’t Truman Capote. It was John Voelker -- a justice on the Michigan Supreme Court. Just before he was elected to the highest court in the Great Lakes state, Voelker wrote a novel that closely tracked the facts of a real story. It was a fictional treatment of a true murder case he handled while a “backwoods barrister” in northern Michigan. He acted as defense attorney in the trial of a cocky young lieutenant accused of murdering the barkeep who raped his wife, or may have. Justice Voelker’s account of the murder was published under his pen name, Robert Traver, in January 1958, months after his election. It immediately soared to the top of the New York Times bestseller list, was snapped up by a major book club, sold Broadway rights, and then generated even more buzz when it was revealed that the author was a state court justice. The book remained the number one book on the Times bestseller list for an astonishing sixty-six weeks – that’s sixteen months. Every possible facet of the multiform aspects that make every murder trial a duel to the death is flashed before the reader: the strategy and courtroom tactics of opposing lawyers; the deep mystery of human conduct and human emotions; the obsession with the “case” to the point of physical and nervous exhaustion, regardless of all other considerations; the chance, tantalizingly suggested, that the only possible defense, even if successful, may be more closely related to trickery than to truth. 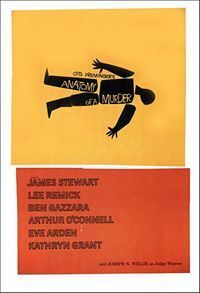 After being so w ell reviewed (but then I am a sucker for a run-on sentence) the film rights were sold for well into the six figures and the movie was made the following year to critical and commercial acclaim as Anatomy of a Murder. It’s widely considered the best courtroom drama of all time. I think some young, obscure fiction writer named Truman Capote might’ve noticed the biggest literary phenomenon of 1958-59. In November 1959, the Clutter family was murdered in Holcomb, Kansas. According to legend, Truman Capote read an account a day or two later in the New York Times. In Cold Blood was published in 1965 and was hailed as a “new journalism.” It’s still credited today as the book that "changed journalism forever". How brief was Justice Voelker’s reign as master of the true crime novel! 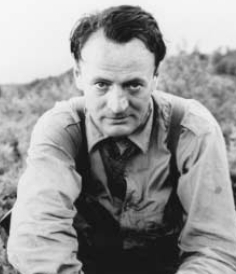 After the phenomenal success of his novel, Voelker eschewed the limelight, served a brief stint on the Michigan high court, then soon retired to life in the far north in the Upper Peninsula, writing several books about fishing still considered classics in that genre. He died in his late eighties, suffering a heart attack while on his way to his favorite fishing hole. That’s a good ending, eh? I loved the film, didn't know it was based on a real case! Thanks, that book is a must read for me now!